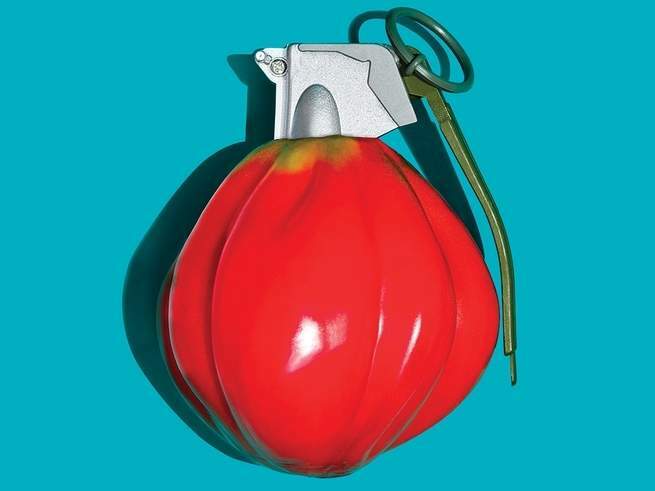 The desire to be thin can turn trendy diets into lethal weapons. There’s no shortcut to a healthy diet. Eating balanced meals, tons of fruits and veggies, scant fatty red meats, and no processed junk food requires time and planning. Americans find regimens with strict rules (no carbs! high fat! eat all the apples!) and big weight-loss promises far more alluring. 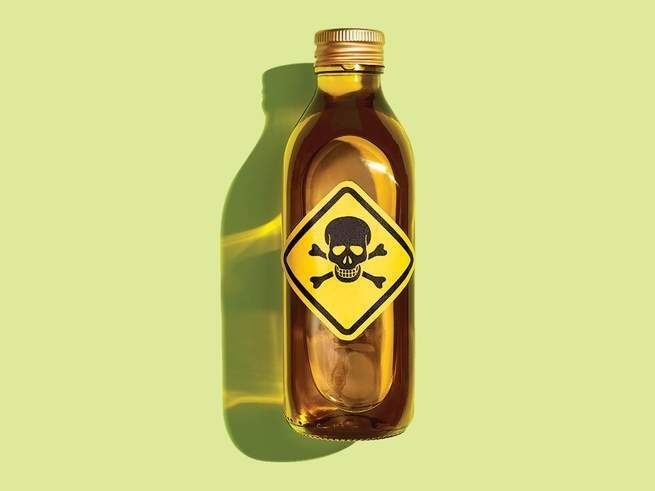 ­Forty-​five million of us will try such a scheme each year, and many will go to extremes. These drastic plans aren’t just ­useless—most people gain back the pounds—but they also can damage our vital systems. 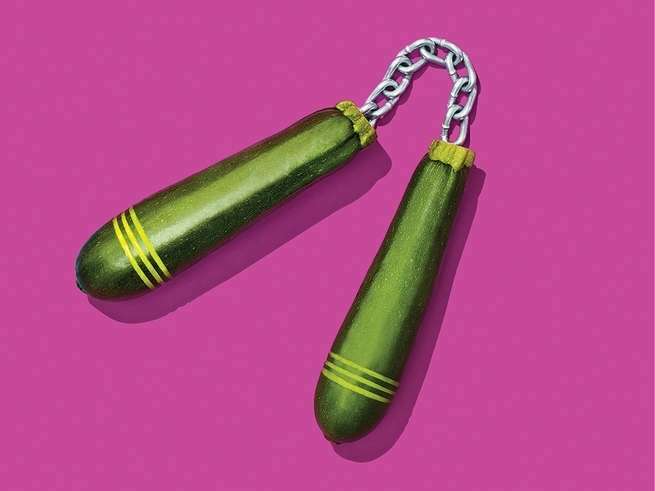 We analyzed how five of today’s popular food trends throw the body out of whack. This diet is exactly what it sounds like: You eat nothing cooked. Seem doable? Try downing an entire crudité platter, warns Christopher Gardner, a nutritional scientist at Stanford University. Taking in the FDA-­recommended 2,000 calories per day would require chomping 60 cups of raw kale, 38 of carrots, or 90 medium-size tomatoes. That much raw roughage is wholly unpalatable, says Gardner. Cooking produce not only makes it tastier, but research shows that heating it also can aid digestion and boost antioxidants, such as phenolic ­acids. One study found that 25 percent of women and 15 percent of men who ate raw for 3-plus years were too thin; 30 percent of women stopped having monthly ­periods—a consequence of too little body fat. Also, fresh everything can be risky: ­Unprocessed dairy can cause a listeria infection; raw eggs can carry salmonella; and uncooked meats invite a host of gnarly bacteria—and deadly cases of diarrhea. Neurologists developed the ketogenic diet in the 1920s as a therapeutic tool for epileptic children. The idea: Deprive the brain of glucose to change its chemistry and curtail seizures. No one’s sure when or why the plan became a popular tool for zapping body fat, but one theory credits the Atkins diet, which relies on a two-week keto phase. Absent sugar, the body will convert its own blubber stores into ketone bodies—fatty acid byproducts structurally similar to glucose—to use as fuel. Classic keto requires consuming 90 percent of daily calories as fat, 7 percent as protein, and 3 percent as carbs. 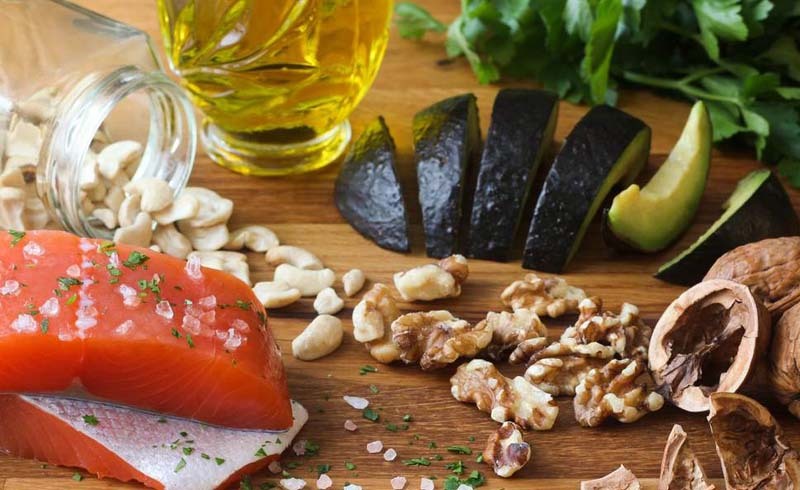 Studies suggest that people on such plans experience a 50 percent increase in ­artery-​­clogging low-density lipids and triglycerides, effects that can last for a year after stopping the diet. Three-​­quarters of patients develop GI problems such as reflux and constipation—sometimes severe enough to require an enema. Ketone bodies are also highly acidic, and, in some cases, come with an increased risk of kidney stones. For one month, dieters on this plan give up added sugar, alcohol, grains, legumes, and dairy—chemicals and processed junk too. The program’s devotees claim that these foods mess up our metabolic systems and contribute to immune dysfunction, hormone imbalances, and even diabetes. Cutting them out, practitioners say, hits the reset button, and can pinpoint food sensitivities. To date, there’s little or no evidence to support either claim. And these largely unfounded assertions have big consequences. Our gut microbiomes—the bacteria that help us digest grub and absorb nutrients—rely on a diverse menu and feed largely on the fiber in grains and legumes Whole30 nixes. Messing this up can lead to extreme constipation. Plus, axing dairy cuts Americans’ number-one source of calcium. Worse: Once a dieter starts reintroducing foods, their tummy can get upset as it readjusts. The reaction can falsely ID a food sensitivity, prolonging the ill effects past the 30-day window. 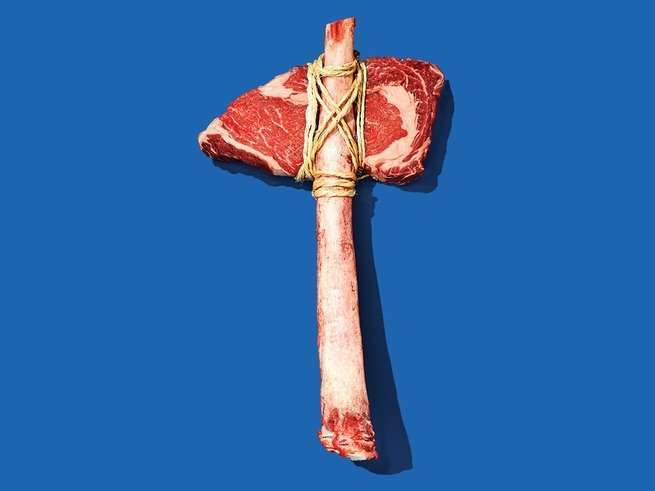 Proponents of the ­paleolithic diet believe that human digestion evolved from the eating habits of our ancestors, therefore we should consume meat and produce exclusively—and ignore grains, dairy, and legumes. (Sorry, but archaeological findings regularly disprove the ­existence of such a meal plan.) Modern zealots trumpet it as a cure-all for everything from muffin tops to ­lethargy and depression. Not exactly. 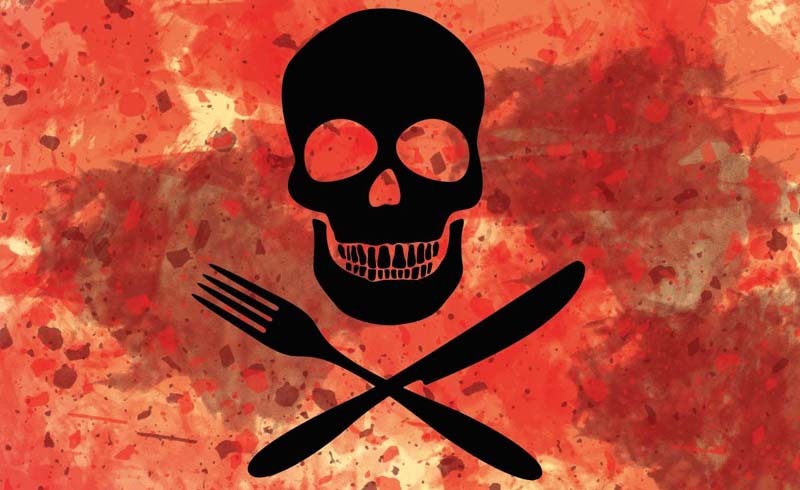 Meat is higher in artery-­clogging saturated fat than plant-based protein sources, and cooking flesh over 300°F produces carcinogenic heterocyclic amines. Red meat, specifically, increases your risk of colon cancer by 17 percent for every 3.5 ounces consumed per day; the heme molecule, which helps turn it crimson, promotes growth of N-nitroso-­compounds—another carcinogen. Cutting dairy and fiber-​rich foods also messes with the microbial colonies that make our guts work. Without the probiotic benefits of yogurts and the prebiotic effects of fibrous foods (beans and whole grains), our tummies struggle to block pathogens, maintain metabolism, and extract calories and nutrients. A life free of all animal products can be good for your heart, blood sugar, and waistline. But Coca-Cola, white bread, french fries, Oreos, and Spicy Chili Doritos are vegan. Stanford ­University nutritionist Christopher Gardner says that many Americans opt for a vegan diet for ethical reasons rather than health concerns, and thus don’t fully consider the overall nutrition of the lifestyle shift. While study after study confirms the bodily benefits of plant-based meals, the research applies only to those who follow a balanced plan to the letter. When done carelessly, cutting out all animal products risks deficiencies in iron, B12, and calcium—nutrients we typically get from meat, seafood, and dairy. Vegans have an increased risk of osteoporosis later in life, and, in the short term, too little B12 can cause weakness and fatigue. If plant eaters take the proper approach, they can get the nutrients they need from produce such as beans, broccoli, and leafy greens—without the need for artificially fortified processed foods such as breakfast cereals and nut milks. But, Gardner says, that rarely happens.